Andrine Pierresaint is a 14-year-old poet who competes in state and national slam poetry competitions individually and with her team Books of Hope. She recently published her first book of poetry "Even Pears Speak to Me" all while attending school and working part-time in a library. 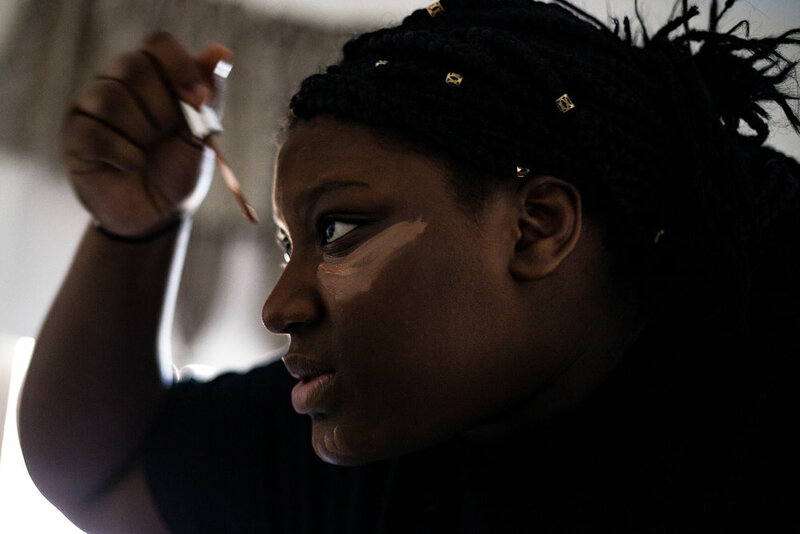 Pierresaint is competing against high school and college students in the Louder Than a Bomb youth poetry competition and hopes to make it to the national competition this summer. Here, Pierresaint gets ready her home in Cambridge, Mass., on March 18. Pierresaint's mother Cloraine Bell takes a nap in the afternoon in their home in Cambridge, Mass., before leaving for work March 18. She immigrated to the United States from Haiti before Andrine was born. The two trade bedrooms because they find each other's beds more comfortable. Pierresaint recites a poem to her teammates before a performance at the Cambridge YMCA, Cambridge, Mass., March 18. 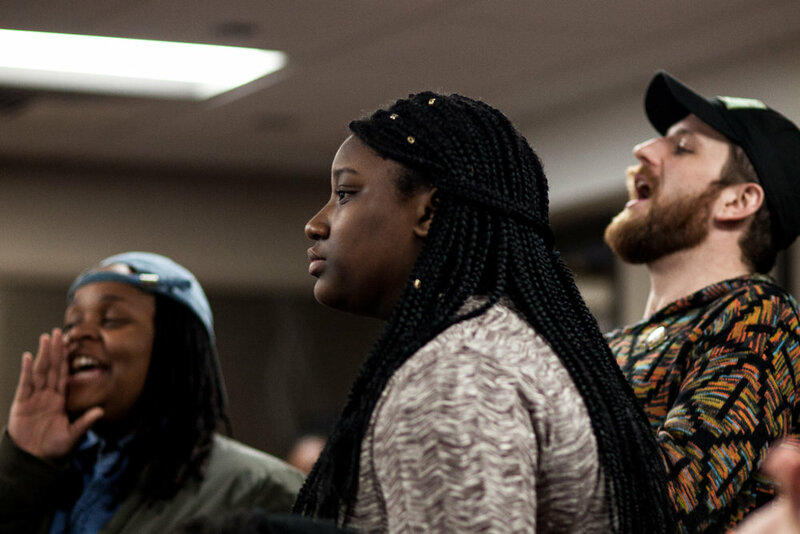 Pierresaint cheers for a fellow poet during an open mic event she hosted in Boston, Feb. 21. Pierresaint performs a poem at Cheap Seats, a reoccurring multi-genre performance art event at the Cambridge YMCA, Cambridge, Mass., March 18. Andrine holds a dog at Cheap Seats in Cambridge, Mass., March 18. 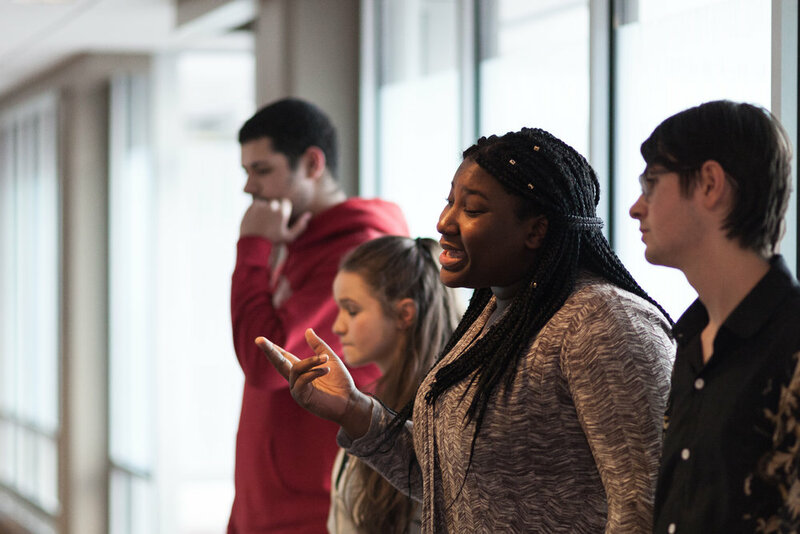 Pierresaint listens to instructions before judging a college slam poetry competition at Simmons College, Boston, March 31. Pierresaint's team Books of Hope rehearses their poem before performing in the preliminary stage of Louder Than A Bomb, a national youth poetry competition April 8 in Boston. Pierresaint's coaches give her last minute advice before performing her first individual poem in the preliminary round of Louder Than a Bomb in Boston, April 8. Pierresaint speaks to her mother on the phone during a lunch break in between bouts of Louder Than a Bomb April 8 in Boston. Andrine speaks Haitian Creole fluently and now helps her grandmother learn English. Andrine relaxes before her team's final bout of the preliminary round of Louder Than a Bomb in Boston, April 8. Pierresaint's coaches cheer her on as she walks up to the mic for her final bout in the preliminaries of Louder Than A Bomb. Pierresaint qualified to compete in the individual finals April 29 in Boston. A teammate hugs Pierresaint after she performed a poem that made her emotional during Louder Than A Bomb preliminaries April 8 in Boston. 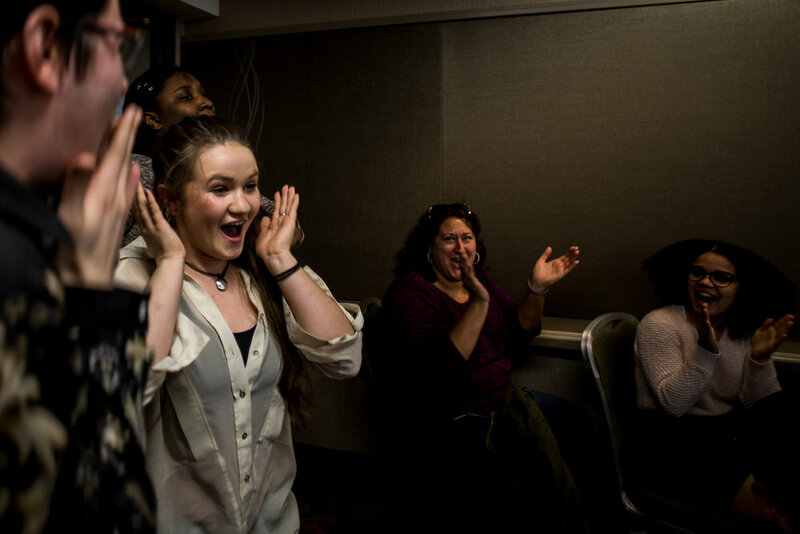 Books of Hope team members react after hearing that their poem received a perfect score during Louder Than a Bomb April 8 in Boston. The team will go on to the final round of Louder Than a Bomb May 6.